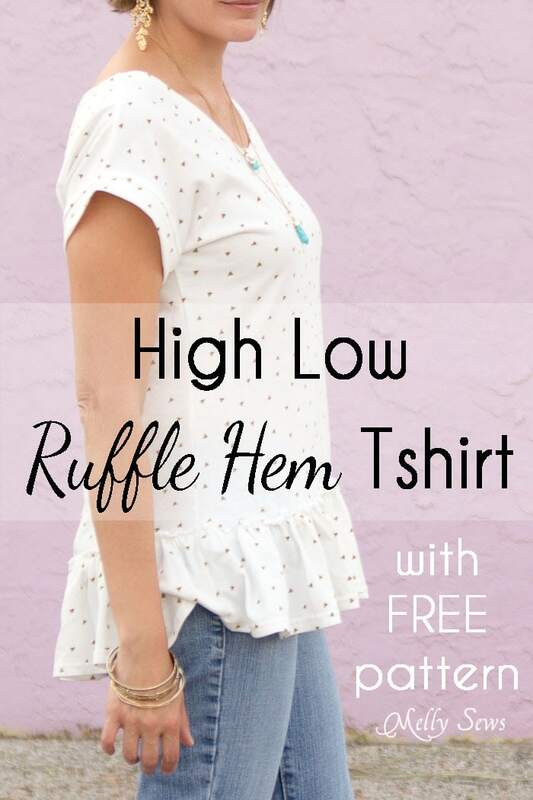 Hey y’all, since this week’s theme seems to be “put a ruffle on it” I thought I’d share this ruffle hem tshirt I made with a few easy hacks to the free Blanc Tshirt pattern. I cut a high/low hem shape that curves slightly up in center front and down at center back, and also added bands to finish the sleeves. I like how it’s just long enough in the back that I could easily wear this with leggings without feeling exposed. 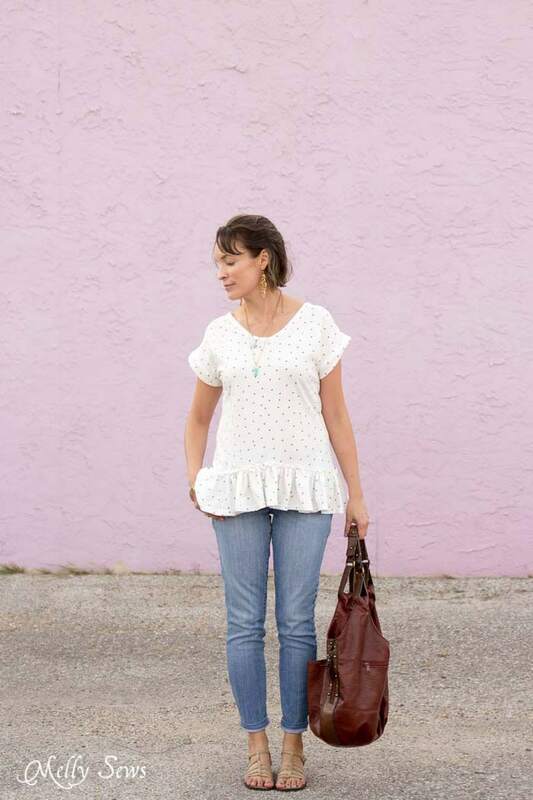 Paired with my thrifted cropped jeans and a thrift store bag that gets Instagram comments every time I include it in a shot, I rather like this outfit. So on the pattern, I cut it about 3 inches shorter at the center front hem, angling down to only an inch shorter at the side seams and full length at center back. 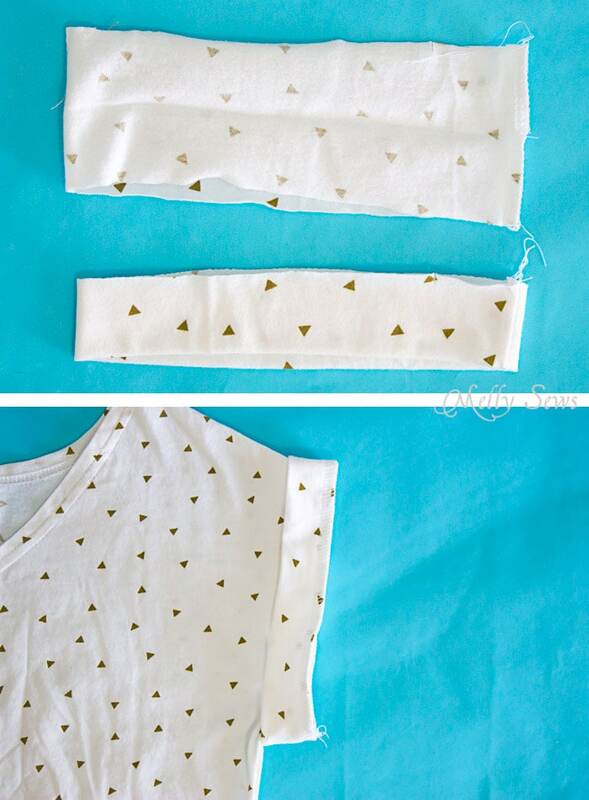 The I sewed the shirt according to the instructions for the shoulder and side seams. Next, I measured the hem circumference, then cut a ruffle to 2 1/2 times that length by 6 inches long. I hemmed the top of the ruffle with a rolled hem, then hemmed the bottom by folding to the wrong side 1/2 inch and stitching. Then I gathered the ruffle and sewed it onto the bottom of my shirt with a narrow zig zag. I didn’t finish the bottom edges of the shirt before doing this because it’s knit, so the fabric doesn’t unravel. Finally, I added bands to the sleeves. 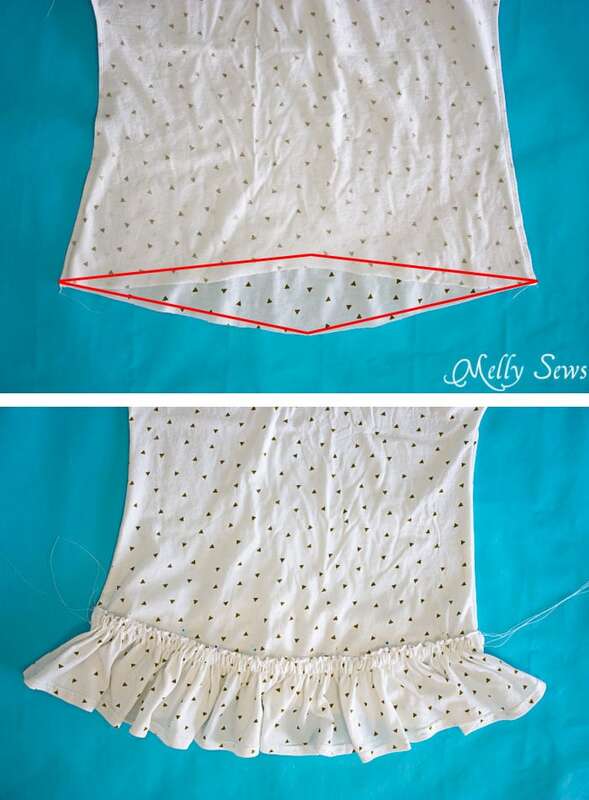 To do this, I measured the armhole circumference on my shirt and added 1 inch for seam allowances. I cut two strips to this width and 3 inches tall, then folded those in half right sides together and stitched the short ends. Then I folded the loops wrong sides together and pressed them. I put the loops around each armhole, and stitch through all 3 layers with a stretch stitch to finish the sleeves. And then I just turned the neckline 1/2 inch to the wrong side (my preferred finish for the Blanc at this point) and stitched it with a stretch stitch. Done! 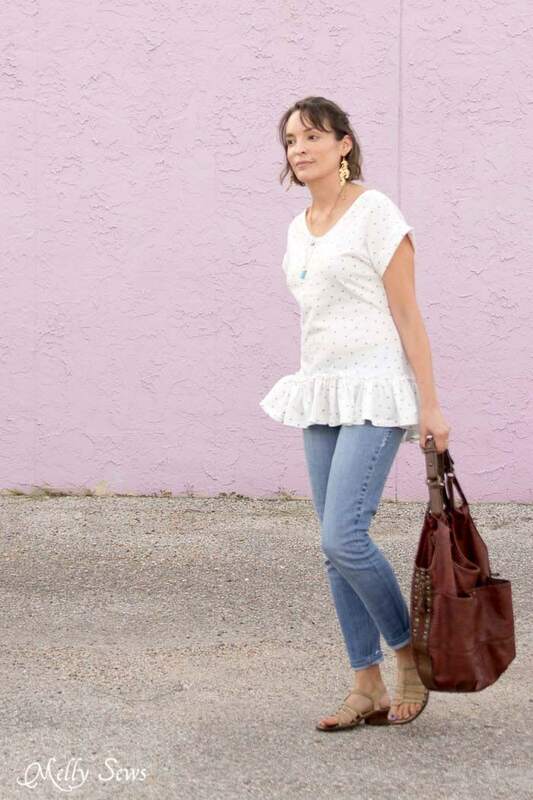 I’m super loving this look, and I think I have plans for another one with an even deeper ruffle.